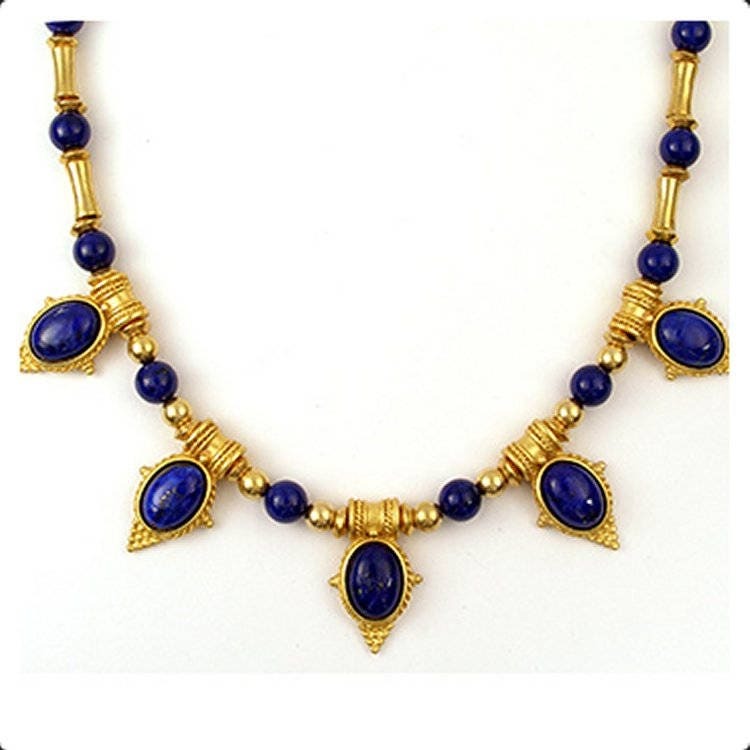 These lapis lazuli earrings match the Egyptian necklace shown in the last picture and listed separately. 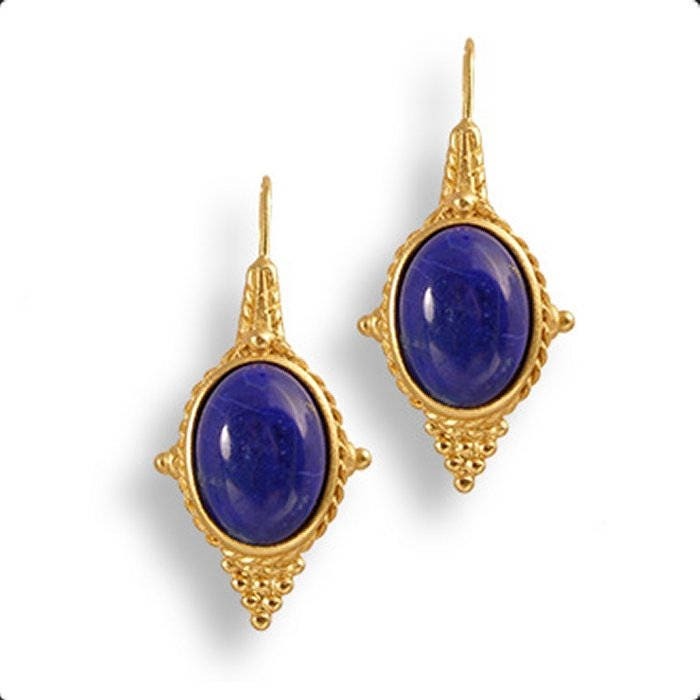 The earring cabochon measures approx. 15mm H x 10mm W and the overall length is 1 1/2"